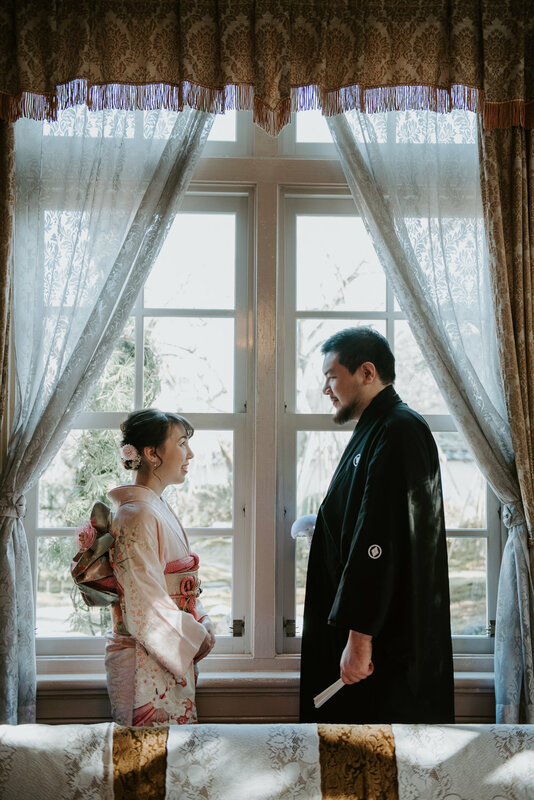 Recently I’ve been doing quite a number of kimono shoots. Not that I’m complaining. I love kimono shoots. I had the pleasure of doing a session for Yoshi and Kristy in Kanazawa. We were blessed with such lovely weather and beautiful winter light. Thank you guys for the lovely, time. It was wonderful working with Kai. She was friendly, organized, gave us lots of good direction, and knew the area very well. She also contacted and reserved the tea house for us that we shot in. Even without editing all the pictures turned out really well. She was also very quick at sending us the photos after the shoot and editing. I'd really recommend her to anyone!